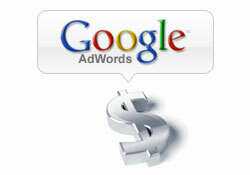 Google recently released an article for AdWords advertisers recommending Top AdWords Tactics for Tough Times. The article makes 6 suggestions for how to better attract visitors to your ad and product/service while taking into account the financial reality many of us face these days. I suggest you have a quick look at the 6 points before continuing on. I’ll just wait over there. 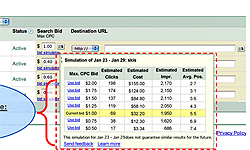 Let’s look at their recommendations, and then address each one from an actual AdWords advertiser‘s point of view-ours! Whether it’s a 2-for-1 offer, a discounted price or bonus items with a purchase, this is definitely an effective tactic. From both a professional and personal point of view, users like to see your offer up front and are more likely to click on an ad that displays such an offer instead of just stating “widgets for sale”. People love free things or bonus items, so these are especially good to use if you plan on making such an offer. Even if it’s something you’d expect to be free, like a consultation with a professional (doctor or defense lawyer), simply adding that word to your ad makes a difference to the person searching for your product or service. Using value related keywords means going beyond keywords like ‘eco friendly bath soap’ say for Body Shop and ‘home alarm system’ for AlarmForce and including value-related adjectives. So the previous keyword now becomes ‘discount eco friendly bath soap’ or ‘free home alarm system’. But are they effective? Sure, these keywords can cost less per click as they are now even longer and more descriptive ‘long tail’ keywords, but they aren’t always in demand. Speaking from experience in using such words, they require a lot of testing and time to judge their effectiveness. And one of the roadblocks to testing their effectiveness sometimes appears in the form of Broad Match and Phrase Match keywords that previously generated your ads for a variety of search terms, including the ones you have added or included from the start of your campaign. Now, I would not exactly call this a ‘conflict’ between words, but the challenge here most likely becomes separating the value-related keywords in their own ad group, away from the broad and phrase match keywords they conflicted with in the same ad group. Making this distinction also allows advertisers to control these campaigns separately from the existing ad groups with running the risk of adversely affecting them should they prove unsuccessful. So my advice here is simple; Test your value related keywords separately! Too many times I see campaigns that clients have created where they build one ad group, one ad, and toss every keyword imaginable in to this single ad group, no matter how different they may be from one another. For example; lets assume you sell ‘footwear’ on your web site, along with clothing and accessories. Why would you mix keyword for sandals, flip-flops, and socks in with your ads for steel-toed work boots? Or why mix all of your keywords together and send people to your front page, where they are not only forced to “go digging” for the product they were searching for, but they are unable to see because it’s not obvious or even listed on your front page? Frustrating your visitors increases the possibility that they will simply leave if they can not find what they want. One less visitor equal one less sale and a higher bounce rate! Your keywords should match your ad copy, which should match the content of the landing page visitors are sent to after clicking your ad. It’s a simple concept – really! Does your local grocery store place products on the shelf at random and say to you ‘good luck!’ as you walk through the door? Absolutely not. Not only do they organize their products by their relevancy to one another (bakery, deli, fruits and veg, coffee and tea), but they even have signs above every aisle telling you what can be found there. Why on earth would you NOT offer this to your online visitors? If they are looking for a product or service, show them where it is and take them there! This advice should not be limited to ‘Tough Times’. This should always, always, always be followed when creating campaigns. It seems that Google is taking advantage of tough economic times to remind people to spend their money wisely when advertising. We do it every day here at TechWyse. Another big mistake we see in simple campaigns is not only an over-dependence on single or double word Broad Match keywords, but an overall lack of what are known as negative keywords. Negative keywords are words or phrases you add to your campaign to ensure that when they are used in a Google search, your ad does NOT appear. Ensuring you add negative keywords to your campaign means money either saved or spent on customers you want, not on wasted clicks that lead to nothing. Tough economic times means we watch every penny – but don’t we want to do this at all times? Why waste your money even in the best of times? Learn more about negative keywords. Now. I’m not sure how this is any different from Point 3. Relevant Ad Groups should do as this point says – send the visitor to the page selling or advertising the product or service in your ad. Don’t send the guy looking for work boots to the sandals page. Worse yet, don’t send him to the front page of your site if you are a giant retail chain and force them to dig around your site for the product or service. Keeping it simple means it’s easier to sell. Extremely important in tough economic times, but something you should always put in to practice, even at the best of times. Not only does it mean easier selling for you, it also means an optimized AdWords campaign with good Quality Scores and the best per-click prices possible. Once again, this is something we should not have to go through tough economic times to follow through on. This is something advertisers should be putting in to practice every day. Probably the only time you might not worry about this is if your only goal is to simply attract visitors to your site – nothing more, nothing less. The more you concentrate you efforts on the keywords, ad copy and landing pages that work, the better your ROI will be. Especially if visits are worth money to you or your business. Having 100 people visit your site because of 20 keywords is great, But what if only 5 of those words actually convert over time and on a regular basis? You’d want to worry about spending money on these words. And you can do so without eliminating the ineffective keywords, since you can just pause them. Common sense says the 5 effective keywords would see an increased ROI, but if you didn’t, that’s the great thing about testing. We can unpause the other words and test them again. 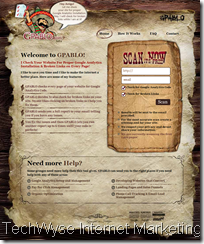 The tips recommend installing conversion tracking on your site. I agree. As long as you have a measurable goal on your site and are using AdWords, this should be a given. Track how many times someone purchases, contacts you, or views a page. and don’t wait for tough times to do it. Install conversion tracking from the start, and make sure you are always measuring your campaign’s effectiveness. A great deal of the ‘Tips for Tough Times’ aren’t really geared for “tough” times. They are geared to all times. The article seems more a reminder from Google about effective Adwords tactics that should be applied at all times, across all campaigns. Although, sending out a reminder during harder economic times isn’t a bad thing. It reminds advertisers to think about what they are doing with their pay-per-click marketing, and to make the most of the money they are spending. Too many advertisers launch AdWords campaigns without putting in the effort or thought necessary. They become disillusioned with AdWords because they aren’t getting the clicks they want, are paying too much per click, receive poor quality visitors, or do not sell or have visitors complete the goal they wish them to when visiting. 1. Make sure you are GEO targeting your ads only to the areas that you serve. 2. Turn on ad scheduling so that your ads don’t show during periods that you are not available for phone calls or during times that you are less likely to sell something. 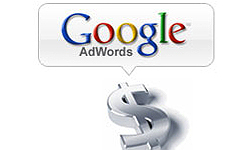 Google AdWords is now a serious part of many marketing efforts and should be treated as such. Don’t wait for the economy to tank before taking your AdWords efforts more seriously.